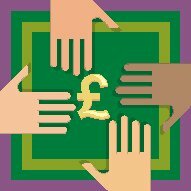 This Fundraising Strategies Course (for Smaller Non-Governmental Organisations) has been funded by the European Commission, through the European Social Fund, in order to assist the not-for-profit sector to secure increased finances which will enable them to build their capacity and so enhance support for their client group. This course has been designed to take your organisation through the stages of the development of a fundraising strategy. These include getting to understand what is a fundraising strategy, knowing your organisation, developing, implementing and reviewing a strategy and looking at income streams. Also included is a resource area, which includes hypertext links to relevant websites, publications and other useful sources of advice, information and/or training. Our goal for this course is enable smaller non-governmental organisations (NGOs, e.g. charities, not-for-profit organisations) to understand the importance of and developing strategies that will improve their fundraising capabilities. At the end of the course you will have the tools to develop a strategy relevant to the needs of your organisation. This basic course has been prepared and developed by Dr Paul Quantock and Rob Music, who have both worked in, and for, the voluntary sector for many decades. Please Note: The course is only available as a "download" and is NOT compatible with Apple Mac operating systems.